Clipper green tea is selected for its light, delicate and clear flavour. These selected teas are sourced from plantations in Southern India. The tea has a delicate aroma and the hallmark clarity expected of Clipper teas. 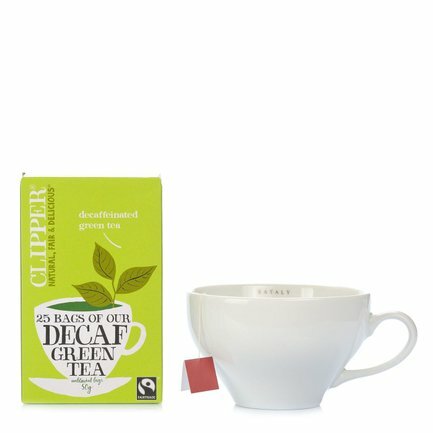 The low caffeine content of Clipper decaffeinated green tea offers all the benefits of green tea that you can drink any time of day. Ingredients decaffeinated green tea For more information on product labels, please contact our Customer Service department. The information on the labels of the products may vary for reasons beyond our control, therefore, there may be discrepancies between the information on the site and that on the products delivered. Please always check the information on the product before consumption or use.